UPDATE: Immaculate Lojuki is Unduk Ngadau Kaamatan 2013 - in picture. 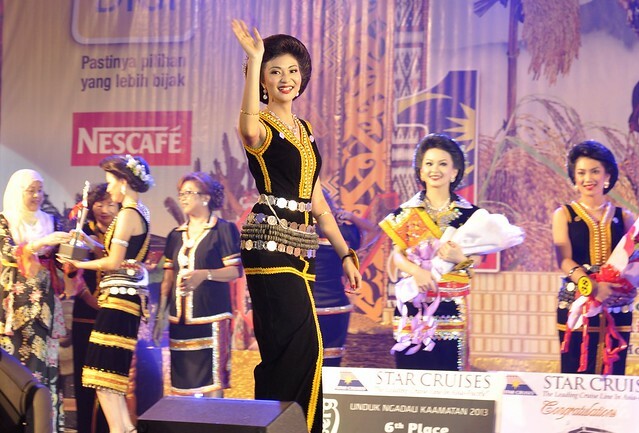 Miss Immaculate Lojuki waves to the crowd as her name was announced as the 2013 Unduk Ngadau Kaamatan. This competition is really flowery and gorgeous.I envy their beauty. Dia memang asal KK kaito? ?